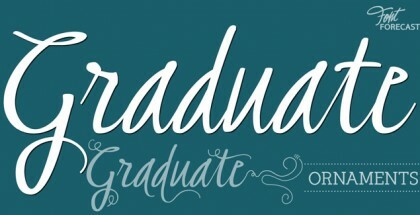 Sanelma font isn’t just another brush script release for sale. Scrolling down its beautiful presentation images you will be amazed by a dozen extra features that make this font a real work horse when it comes for posters, t-shirt designs, food packages, beer labels, logos or simply for branding your local food store. Sanelma font is actually reviving the classic sign-painting design tradition by adding a lot more personality, many and different choices for customization and lots of different combination inside this font including special swashed ending, simple and swashed capitals, dedicated small caps, special underlining, alternates, ligatures etc. To explore the full capacity of those 1200+ glyphs and all optional combinations you will need Open Type compatible software and a lot of free time to spend this beautiful piece of typographic art! 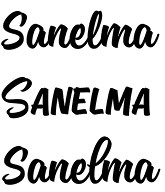 By purchasing Sanelma font you technically take control over an imaginary sign-painting studio where your ideas are transformed into real artworks. Beauty is one of the most expressive features of this script font – add excellent legibility, perfect smooth curves, and excellent contrast and you will understand its real power and potential. Overall conclusion – simply great font!!! 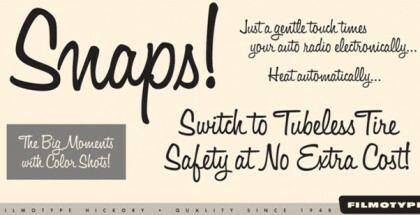 If you like brush scripts and you know how and where to use them – then this is a must-have-font for you. Mika Melvas is a type designer from Finland. He is founder of the Mahti Type Studio. Check also his Roihu font, Riona Sans font.